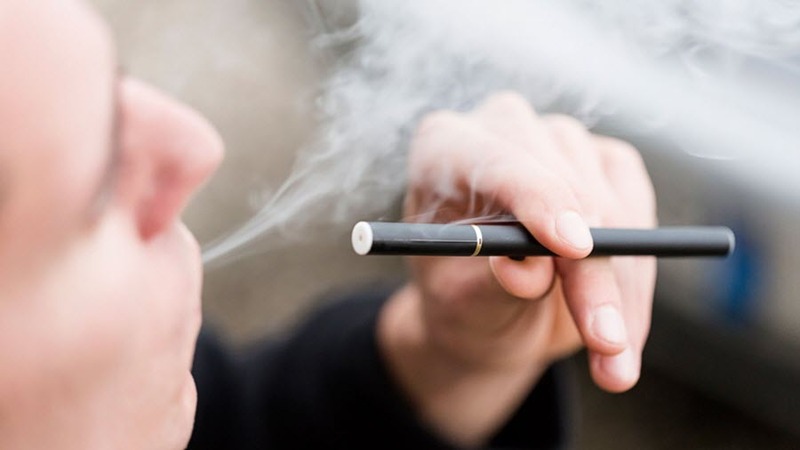 An e-cigarette or a vaping device is a handheld (usually portable), battery-operated electronic device that vaporizes an ‘e-liquid’ into an aerosol or ‘vapor’ which the user inhales. The action of using an electronic cigarette is commonly known as ‘vaping’ while a user of an electronic cigarette is commonly referred to as a ‘vaper’. The process of using an electronic cigarette closely mimics the process of smoking an actual tobacco cigarette, but with varied key differences. A user vaping on an electronic cigarette. Left: Herbert A. Gilbert; Right: Gilbert’s original patent of his ‘smokeless non-tobacco cigarette’. 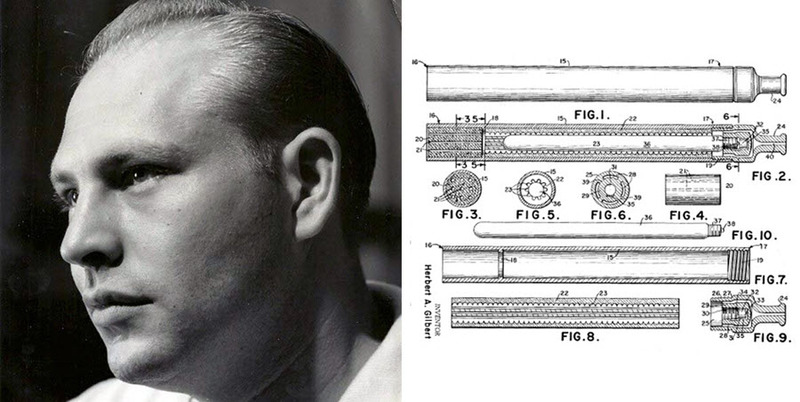 The first (and relatively less well-known) inventor of the electronic cigarette is an American individual named Herbert A. Gilbert, who in 1963 patented a ‘smokeless non-tobacco cigarette’ which produced flavored steam without nicotine. He was granted the patent in 1965 and went on to produce several prototypes, but they received little attention and was never commercialized. Unfortunately, the invention itself was ahead of its time, especially during arguably the most powerful advertising period of big tobacco companies. In 2013, Gilbert has stated that modern electronic cigarettes actually follow the basic design set forth in his original patent. Left: Hon Lik; Right: A RuYan electronic cigarette designed by Hon Lik. 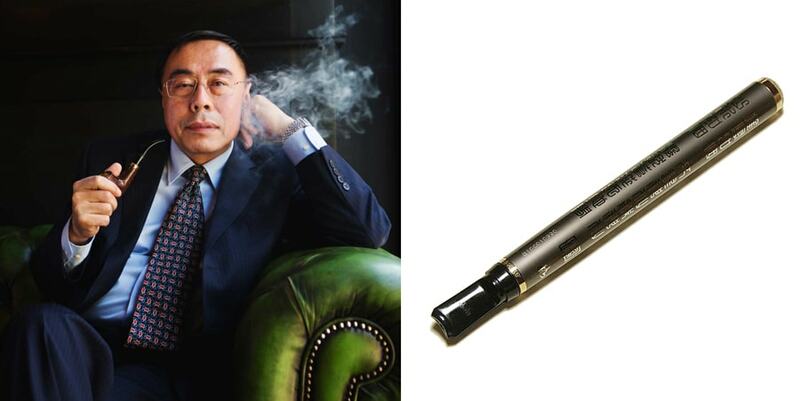 The most well-known ‘father’ of the modern electronic cigarette is Hon Lik, a Chinese pharmacist and inventor, who registered a patent for the modern electronic cigarette design in 2003. According to Hon Lik, his inspiration to create a smokeless cigarette stemmed from the death of his father due to lung cancer, who was a heavy smoker like him. In 2001, he thought of using a high frequency, piezoelectric ultrasound-emitting element to vaporize a pressurised jet of liquid containing nicotine, which produced a smoke-like vapor. He then said that using resistance heating obtained better results and the real difficulty was scaling down the device to a small enough size for use. His design also utilized an inhalation-activated switch for the first time, which powered the device upon inhalation. Hon Lik’s electronic cigarette was introduced to the Chinese domestic market in 2004 (along with flavored e-liquid cartridges) intended as an ‘alternative to smoking’ but received little attention initially. Subsequently, electronic cigarettes started entering the European and American market in 2006 and 2007 which led to a higher international presence and recognition for the products. In November 2007, his company Golden Dragon Holdings registered an international patent for his design and changed its company name to ‘Ruyan’ (which roughly translates to ‘resembling smoke’). Since then, the Ruyan electronic cigarette started gaining popularity around the world, which unfortunately resulted in his design being illegally copied and distributed under different brand names by manufacturers in both the USA and China. The mainstream introduction of ‘cigarette look-alike’ electronic cigarettes eventually generated dissatisfaction among some users, citing performance issues and highlighting the original design’s weaknesses, such as poor vapor production (i.e. lacking satisfaction), low e-liquid capacity or poor/short battery life. Later on, this led to the invention and subsequent marketing of newer generation products with higher e-liquid capacity and improved performance. With the gradual introduction and adoption of newer, improved electronic cigarette designs throughout the world, manufacturers began performing their own research and development and ‘modifying’ the cigalikes into improved devices, and their finished products would be commonly referred to as ‘mods’. An example of an Advanced Personal Vaporizer ‘mod’: the ProVari. This led to a newer generation of electronic cigarettes known as ‘Advanced Personal Vaporizers (APVs)‘. These advanced vaporizers are generally larger devices with more advanced microprocessors, which allows the user to control the power output along with other features. Some manufacturers would also introduce electronic safety features such as battery cut-off functions and short-circuit protection to address the safety issues of using mods. In addition to that, some worked to improve on the mechanical or engineering aspects of the e-liquid cartridges (or tanks) which could produce better flavor, air production and has higher e-liquid capacity. Left: A cigarette-lookalike electronic cigarette; Right: A refillable ‘modular’ electronic cigarette. Every electronic cigarette requires a power source, which is most commonly a built-in or replaceable lithium ion/manganese battery. Some of these earlier batteries were operated via a inhalation-activated switch (such as the cigarette-lookalike device on the left picture above), while most of the modern generation devices commonly have user-activated switches (such as the refillable modular device on the right picture above). The batteries in these devices usually have high discharge rates due to the power required to heat up the atomizer. The battery powers the atomizer (containing a resistance heating coil) which in turns heat up to quickly vaporize the e-liquid, turning it into an aerosol/vapor for inhalation. Some of the older generation devices had atomizers which were separated from the e-liquid cartridge or tank (such as the cigarette-lookalike device on the left picture above) while newer generation devices would have atomizers which are integrated into the cartridge itself or a tank (such as the refillable modular device on the right picture above). This is the part where e-liquid is contained. Earlier cartridge systems were small, mostly opaque and held very little e-liquid. Furthermore, most of those used in cigarette-lookalike devices were disposables and did not allow users refilling them (such as the cigarette-lookalike device on the left picture above). Newer ‘tank’ systems had clear glass/polycarbonate tanks which not only held more e-liquid, but allowed the user to conveniently check the levels of e-liquid inside and refill them (such as the refillable modular device on the right picture above). These are commonly referred to as ‘clearomizers’ (short for clear atomizers) and are also more likely to utilize an integrated atomizer which can be replaced. Also known as ‘e-juice’, ‘smoke juice’, ‘vape juice’ or ‘vape liquid’, the e-liquid is the main consumable component of an electronic cigarette – it determines the flavor, nicotine strength and texture of the vapor. It is a typically-viscous liquid made from several ingredients, may or may not contain nicotine, and turns into a smoke-like vapor when heated by the atomizer. 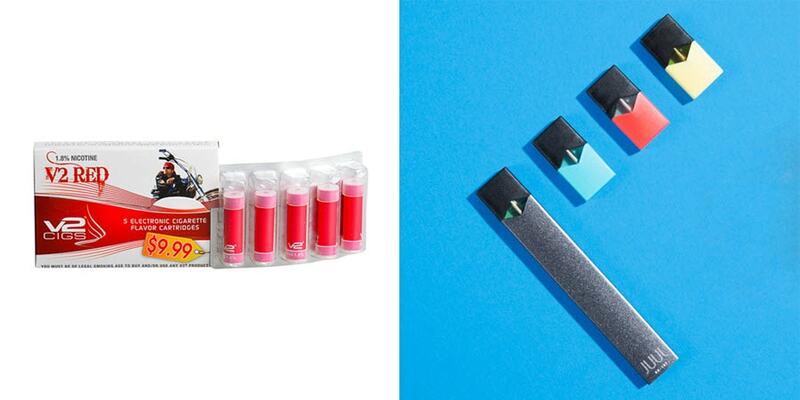 In earlier designs (such as the cigarette-lookalike device on the left picture above), the e-liquid was generally pre-inserted into the cartridges and users would buy different ‘flavored’ cartridges to use. When newer generation devices which allowed refilling of e-liquids (such as the refillable modular device on the right picture above) were introduced, manufacturers began selling the e-liquids separately in bottles, allowing users to fill them when desired. The process of resistance heating in electronic cigarettes: the ‘heating conductor’ (coil) gradually heats up (and turns bright red from the heat) once an electrical current (from the battery) passes through it. This heated coil is then able to produce vapor when it comes into contact with e-liquid. Mainstream electronic cigarettes, which accounts for majority of vaping devices sold throughout the world, work on the process of ‘Joule Heating’, which is also known as ‘ohmic heating’ or ‘resistance heating’. This is a process where an electric current is passed through a heating conductor to produce heat, and is used in many daily applications, e.g. incandescent (tungsten filamen) light bulbs, bread toasters and even electric boiling kettles. As mentioned in the “The History and Development of Electronic Cigarettes’, one of the greatest complains associated with the older generation electronic cigarettes was that they produced very little vapor and were not very satisfying to use. The introduction of Advance Personal Vaporizers (APVs) allowed user to address that and increase the vaping ‘power’ by themselves. While there are many other complex formulas and laws associated to the concept of electrical resistance, the formula presented above is the most fundamental (and the easiest to understand) calculation to measure the vaping intensity of any one electronic cigarette, and is one which you should understand and know. 1) Power (P) : Power, or electrical power, is directly correlates to the vaping intensity of an electronic cigarette, and a higher powered device (i.e. higher Watts) usually results in higher vapor production, higher throat hit and an overall more intense vaping experience, and vice versa. Some APVs allow user to increase/decrease the power (or Wattage) and customize the setting to their preferences. In ‘Watt’ mode, when a user selects his preferred Wattage, the Voltage of the device is automatically selected by the microprocessor on the reading of the electrical resistance of the heating coil (atomizer) itself. 2) Voltage (V) : Voltage is defined as an electromotive force or electrical potential difference in the field of electricity and is numerically expressed in ‘Volts’. While we do not need to further elaborate on the concept itself, please take a look at the formula once again, i.e. Voltage (V) is directly correlated with Power (P) and increase of the voltage (higher Volts) in a device would result in the increase of the power (vaping intensity), and vice versa. With electronic cigarettes, some APVs allow the user to adjust Voltage settings as opposed to the Power (Wattage). In short, the higher the Voltage setting, the stronger the vaping experience. 3) Resistance (R) : Resistance is an electrical quantity that measures how the conductor (in this case, the heating coil) reduces the electric current flow through it, and is measure in the units of Ohms (Ω). Whenever a current passes through a coil which has resistance, it creates both heat and light (as observed in the examples of both heating coils and filamen light bulbs). For example, when applied in the formula where the Voltage remains constant, a higher Resistance amount (higher Ohms) would directly result in lower Power output. As such, some electronic cigarette users would ‘customize’ their own coils of their tanks (by lowering the Ohms) to give a stronger, more intense vaping experience. Most APVs have a built-in Resistance sensor which measures the coil resistance of the atomizer, and usually operate in either ‘Wattage’ or ‘Voltage’ mode. In ‘Wattage’ mode, the APV would automatically adjust the Voltage output when the coil resistance (Ohms) changes – in order to maintain the same Power (Wattage). In ‘Voltage’ mode, the APV will maintain the Voltage (Volts) settings as per selected by the user and does not monitor the Power (Wattage). In this case, if the Resistance (Ohms) goes up, the vaping experience would be slightly weaker and the user would need to increase the Voltage settings slightly to compensate for the higher Resistance, and vice versa. What Types of Electronic Cigarettes Are Out There? ‘Cigarette lookalikes’ are exactly what it says in the name – electronic cigarettes which looks like real tobacco cigarettes. The earliest electronic cigarettes (based on Hon Lik’s patent) were created with smokers in mind, and as such were designed to look almost exactly like a cigarette. Of course, the size, width, and lengths across different brands are different, but most of them stick very closely to the cigarette size factor, where some are even colored to look like a real cigarette, with the cartridges often painted orange to mimic cigarette filters and the battery painted white to mimic the white tobacco paper wrapper used in cigarettes. The batteries in these devices do not last long and are normally within the 100mAh and the 150 mAh range, where a user would generally use 2-4 fully-charged batteries throughout a day. They were also usually regulated at a voltage of 3.2V. This two-piece (battery + cartridge) design was commonly known as the ‘KR808 System’. Most of these cigarette lookalike devices employ an inhalation-activated switch, where the atomizer within the cartridge is only powered when the user inhales from the device. Most of them also had a red LED light at the battery tip which lights up simultaneously with the atomizer – which mimics the burning red tip of an actual cigarette while in use. Of course, some manufacturers have made the LED lights in other colors as well, such as blue, green, purple or even white. 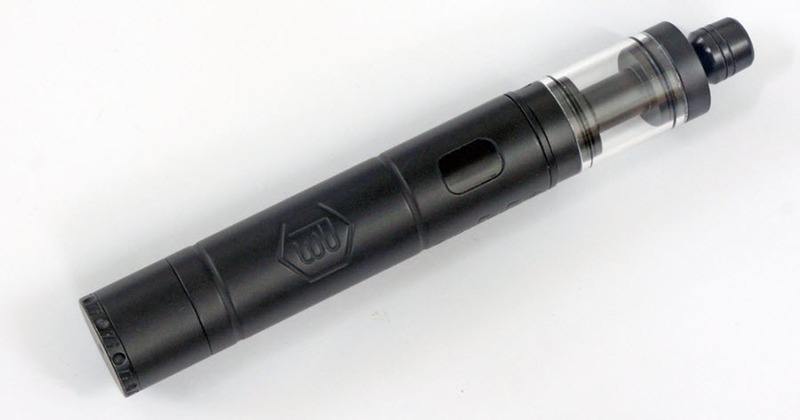 An example of the popular two-piece design which employs a cartridge with integrates the atomizer with the e-liquid storage. The cartridge was largely designed for one-time use only (disposable). Longer batteries : Some of these cigarette lookalikes have longer batteries (while maintaining the circumference of the battery), which improved battery life. Different colors : Some manufacturers have decided to differentiate their products from real cigarettes while maintaining the form factor. Some introduced new finishes such as glossy and matt colors which are largely different from real cigarettes (e.g. Black, blue, yellow etc.). Some have also given their devices a metallic finished which can be in either brushed, polished or satin steel finishes. Removeable atomizers : At some point, some manufacturers decided to separate the atomizer from the cartridge, as they have deemed throwing out disposable cartridges a waste of resources and plainly expensive. These tiny atomizers were plugged onto a liquid-filled cartridge and could be replaced by the user once the performance of the atomizer itself has dwindled. Unfortunately, this system was prone to leaking and its popularity did not last very long – until it was eventually replaced by the larger (user-activated) switch eGo-510 systems. Transparent Cartridges : One of the major issues of the cigarette lookalike design was the fact that the users were not able to tell how much e-liquid (or usable lifespan) was left with each cartridge, and they would only know upon smelling or tasting a dry, burnt taste when the e-liquid has completely dried out. Some systems utilized a semi-transparent liquid cartridge where users can see how much e-liquid was left. They could also fill the cartridge through an opening at the top, but were still mostly cumbersome in use and still maintained its proneness to leaking. An example of the 3-piece design which employs a separate atomizer with a semi-transparent e-liquid cartridge. Portable Charger Case : Also known as ‘PCC’, the portable charger case is usually an accessory which contains a built-in battery and connection ports for mobile battery charging, along with space for holding extra cartridges. Some manufacturers offer a PCC as part of their kit package, which allows users to have access to more batteries (and cartridges) on the go, while allowing them to charge a used battery inside the pack as well. Different PCCs will have different designs, battery capacities and number of charging ports. This obviously addresses the battery problem for some users, but also creates more bulk for users to bring around. Examples of Portable Charger Cases (PCCs). User-activated manual switch : While most cigarette lookalike devices utilize an inhalation-activated switch, some of the later designs employ a manual user-activated switch where users would press to power the device during inhalation. This was due to the fact that inhalation-activated switches were prone to issues and had lower reliability compared to the simpler, manual button. The button also allows more control for the user where users could ‘prime’ (i.e. to heat the atomizer up before actually inhaling) the device for an improved vaping experience. This idea of a manual button was very well-received and soon became a staple component for most of the newer generation devices, such as the Joyetech eGo series and most APVs. Example of a manual switch battery. While touted as ‘old’ technology by some, it is important to note the historic significance of the humble cigarette lookalike electronic cigarettes. These were the very first mainstream electronic cigarettes introduced – they were directly responsible for the mass adoption and popularity of vaping among the general public. During the time of its introduction, their familiar portable cigarette form factor was a breakthrough and was by far the most appealing smoking alternative available to smokers at that time. Not only was it not intimidating due to the similar design, but it also introduced the viable idea of using an electronic cigarette: especially to those who were trying to get off their smoking habit. In short, these cigarette lookalikes were responsible for making electronic cigarettes the most powerful competitor for traditional tobacco cigarettes today. Some different types of pen-style electronic cigarettes. Left: eGo battery with liquid cartridge; Center: eGo battery with a ‘tank’ (clearomizer); Right: pen-style device with pen-like cap/cover. After the introduction of ‘modding’, many manufacturers have decided to create larger electronic cigarettes which housed larger batteries and have larger e-liquid capacities, all while maintaining a sleek design. This led to the creation of ‘Pen-Style’ devices which were both longer and thicker, with similar sizes to ballpens or fountain pens. The most popular design of this generation of devices are the modular eGo battery types, which were pioneered by a Chinese company Joyetech. These eGo batteries were created with two integrated atomizer/tank threadings (510 and eGo threadings) which allowed the use of a variation of atomizer/tank attachments, making them very versatile. E.g. users could purchase a different tank/cartridge and use them interchangeably. On top of that, the larger batteries usually had over 600mAh capacity, making it last at least 4 times longer than the smaller, shorter cigarette lookalike batteries. The stronger battery also allowed for a more satisfying vape experience especially when paired with a suitable tank/cartridge. They also utilized a manually-operated switch (typically lights up when pressed) which were not only more reliable, but could be turned on/off via multiple clicking of the button itself. The comparison between a vape pen and a cigarette lookalike. Note the larger, longer battery and tank (along with the manually-operated switch) as compared to the cigarette lookalike. While the pen-style electronic cigarettes were introduced as an ‘upgrade’ over the cigarette lookalikes, many vendors sold them as ‘starter’ devices for first-time vapers due to their still-compact form factor and ease of use (on top of the improved performance). The improved performance and added versatility made them very popular and they soon began to turn up at retail stores across the globe (especially the eGo series). The Pen-Style electronic cigarettes were essentially the first mainstream ‘mod’ to hit the market. Cartomizer : Cartomizers are short for ‘cartridge atomizers’, and are actually very similar to the ones used in the two-piece cigarette lookalikes. Some of the earlier eGo batteries were used with cartomizers which were improved over the cigarette lookalike ones. Due to the larger, more powerful batteries, these improved cartomizers were longer (holds more e-liquid), could wick e-liquid better and were able to produce more vapor for a more intense experience. On top of that, they were designed to be refillable, usually with a removeable silicon cap on the mouth end. The eGo-C (Cartridge system): Similar to the 3-piece system of the cigarette lookalike devices. Larger E-liquid Cartridges : Some of the earliest pen-style electronic cigarettes still maintained the 3-piece system from the cigarette lookalikes, albeit with a more capable atomizer and a larger capacity liquid cartridge. This system was frequently known as the ‘eGo-C’ system (‘C’ for Cartridge) and while it was improved over the cigarette lookalike system, the fundamental weaknesses were still there: it was prone to leaking. It was eventually replaced by the introduction of tanks/clearomizers. Tanks/Clearomizers : The introduction of tanks, or ‘clearomizers’ (stands for clear atomizers) is arguably one of the most significant developments in the history of electronic cigarettes, especially with the Pen-Style electronic cigarettes. It paved the way for the many larger, more complex tanks that we see today – all in pursuit of larger e-liquid capacity, better flavor reproduction, improved vapor production and even aesthetics. Left: A eGo battery with a CE4 clearomizer; Right: Different parts of a CE4 clearomizer. One of the first mainstream electronic cigarette tanks to be introduced was the ‘CE4 Clearomizer’, which was initially named as part of the ‘eGo-T system’. The CE4 was unique during its introduction in that it utilized a replaceable ‘coil head’ system, where the atomizer itself integrated both the wick and heating coil. It was a very convenient design which allowed the user to easily replace the coil head (by unscrewing/screw on to the coil base) or fill in e-liquid whenever necessary. The tank had a few key advantages: a larger transparent tank, easier to use, experiences less leakage, better/smoother airflow, and improved performance. The popularity of the tank system soon took over the others, and many manufacturers and individuals were gradually introducing many different improved tanks – which then progressed to the multitude of electronic cigarette tank systems now available in the world. Variable Voltage : One of the later yet prominent developments of the eGo battery was the introduction of the ‘Variable Voltage’ function, where a user is able to increase/decrease the regulated voltage on the battery. This was essentially done by implementing a buck-boost function to a more complex microprocessor within the battery. The standard regulated voltage of the eGo battery is 3.7V (which is already higher than the cigarette lookalike’s 3.2V), but the variable voltage function allows the user to select a much higher voltage setting (typically up to 4.8V), which made the vaping experience more intense. This allows the user to customize their power output easily, either via a simple round indicated dial at the bottom of the battery, or some even via a more complex LED screen built onto the battery itself. Left: A tube-style APV (ProVari P3); Center: A box-style APV (Eleaf Istick); Right: A Hybrid Box-style APV (Joyetech Egrip). The Advanced Personal Vaporizer (APV), commonly known as a ‘mod’, is the preferred device for electronic cigarette users who are looking for better performance as compared to the vape pens. These devices are generally larger and bulkier than the vape pens to house a larger battery, a larger microprocessor (with better performance and more features), or even a built-in tank. They are essentially modular ‘batteries’ or ‘battery holders’ on which a separate atomizer or tank could be used. i. Tube-Style : Some of the earliest APVs were generally designed in a tube form which resembles the vape pen form factor, but in reality they were similar in size to metal batons or screwdrivers. Unlike the eGo batteries (which had small custom built-in batteries), these devices utilized separate cylindrical lithium ion/manganese batteries (such as 18350 or 18650 sizes) and as such were significantly thicker than the vape pens. The advantages of using these batteries were plenty: they had better battery life (i.e. capacity), could be replaced anytime when the battery is drained, and that the device itself did not have to be discarded even when the battery is ‘dead’. On top of that, these larger devices allowed the use of larger (yet aesthetically balanced) atomizers/tanks which allowed for improved e-liquid capacity and better overall vaping capabilities. Some users saw these advantages as an improvement over the previous eGo design and did not mind the larger sizes of these devices despite them being heavier and bulkier. ii. Box-Style : While most modern tube APVs performed well and were technically sound, the very nature of the cylindrical shape meant that these devices, once attached with an atomizer/tank, tend to be very long. Soon enough, manufacturers started working around the tube shape and tried to create something more compact. By placing the battery on the side of the microprocessor or using a custom built-in battery, the box-style device were created. They were generally larger in circumference (while maintaining good ergonomics for handholding) but were much shorter and more compact than the equivalent tube-style devices. However, these devices still required an external atomizer/tank to be attached for use, which for some users, slightly reduced the aesthetics value of the overall device. iii. Hybrid : To achieve an even smaller and more compact size, some manufacturers have decided to create APVs which did not require an external atomizer/tank, i.e. by creating a non-removable, built-in tank. They are available in both tube and box style guises, but box-style hybrid devices are more commonly available in recent times, due to the fact that tube-style hybrid devices (despite being slightly shorter than regular tube-style devices) were still generally longer than box-style devices. As the tank does not ‘stick out’ in these devices, some users have deemed the hybrid devices to have better overall aesthetics and are even more compact than regular box-style devices. The Joyetech Egrip in the image above is an example of a hybrid APV/mod. However, there is a large disadvantage to the hybrid design: the device is limited to only one built-in atomizer/tank setup, which was usually designed by the manufacturer themselves. In short, the user will not be able to use a different atomizer or tank on the hybrid device, and any damage or poor performance related to the tank itself will essentially render the entire device obsolete. As a result, hybrid APVs are commonly known as niche products – the regular box and tube style devices are much more popular. iv. Others: While tube-style, box-style and hybrid devices are the most common (and mainstream) devices around, there are some small manufacturers who have worked to create some unique mods. Some had interesting designs and used rare materials; while some had interesting features such as Bluetooth or could even function as a power bank charger. Whether it is a boutique maker who handcrafts the device or a large manufacturer making a limited-edition release, there are some APVs/mods out there which are not commonly used by the general public. These are largely small-volume devices which end up being collected by enthusiasts and are more of a boast factor rather than for practical use. Why use an Advanced Personal Vaporizer (APV)? – Improved User Interface : Most APVs have more than one button and usually houses a LED/OLED screen, which allows easy navigation of the menu features or simpler adjustment of power setting. – Increased features : A larger device (with more space) allows a larger microprocessor to be installed, which can allow the user access to interesting features such as a battery life gauge, measuring atomizer resistance, diagnostics (via error codes), customized vape settings and so on. – Increased performance : A larger microprocessor also allows for a more consistent or more powerful vaping experience. Manufacturers can design an APV to provide a very smooth vape with better flavor production (through a more consistent electrical current) through good engineering and electronic components; or they can create a device which allows a large range of power settings exceeding the regular vape pens. – Flexibility : Instead of not being able to vape while charging the device, some APVs are designed to allow the user to vape during charging itself (bypass). Some will also allow the user to change to a fresh battery conveniently, and as such the vaping activity itself is not interrupted. – Better safety : Some devices have safety features such as short-circuit protection, lock modes, temperature control system, reverse battery protection, automatic cutoffs and so on. These prevent any possible damage to the device (specifically the battery) and allows for a worry-free experience. – Better ergonomics : Some users actually prefer the ergonomics of a larger device, especially those with larger hands. Some APVs were designed to fit perfectly in one’s hand grip, and have an improved tactile feel during use itself. – Atomizers : Some of the best tanks/atomizers in the market have been designed for larger devices, specifically APVs. With the improved performance, using an APV will usually allow the user to utilize a large range of atomizers to their full potential (and achieve better aesthetic balance as well). Example: A ProVari P3 with a Kabuki Atomizer. The Kabuki atomizer would not only look odd and aesthetically unbalanced on a smaller eGo-style battery, it will simply not perform as well too. A mechanical mod is a personal vaporizer which is unregulated. Unlike the devices mentioned above, there is no circuitry (microprocessor) in the mod to keep the voltage steady throughout the life of the battery. The electrical current in the device is dependent on the remaining charge of the battery itself and as such the power output will gradually become weaker over the lifespan of the battery. Without any form of power regulation in place, there is also no way to increase/decrease the power output of the device itself. These devices are made in many different shapes and are commonly made from metal with good to high electrical conductive characteristics, such as stainless steel, brass, copper, and even silver/gold. During the time of its introduction (around 2013), mechanical mods were very popular among users due to its marketing hype, overall simplicity and arguably more compact aesthetics. Without any microprocessor in place, they were quite literally a ‘metal battery holder’, which made it easy for some individuals to manufacture without the need of complex machinery or much technological knowledge. A “collectors’ craze” eventually came along and quite a number of users were collecting rare and unique mechanical devices as a hobby. Some even paid a large premium for these devices to be added into their ‘collection’, while some traded these devices with significant mark-ups to make a profit. However, the popularity of mechanical mods did not last long – many Chinese manufacturers soon began copying these devices (since they were so easy to replicate) and sold them as a counterfeit for much lower prices. These counterfeit devices, commonly known as ‘clones’, soon entered the market in large volumes and were difficult to differentiate from the authentic devices. As a result, many owners of these expensive and rare mechanical devices were turned off – due to the fact that their devices were not ‘exclusive’ anymore. On top of that, the release of the new generation APVs which had more features (and performed better) began to gain traction among the users, rendering the mechanical mods obsolete. There are still a handful of ‘hobbyists’ or enthusiasts which still use mechanical mods today, but they represent only a minute percentage of vapers throughout the world. Why Use a Mechanical Mod? A steam punk themed mechanical mod: the ‘cool factor’ and aesthetics played a major role in establishing the short-lived popularity of mechanical mods. One of the key appeal of a mechanical mod is its simplicity. It’s essentially a metal housing in which a battery can be fitted – there are typically no microprocessors, no circuitry components, wires, soldering points. The entire housing is regularly made from solid metal to ensure high conductivity as well. If used and maintained with care, these devices are durable and could technically last forever. The other reason why one might use a mechanical mod is simply the ‘looks’ of the device. Mechanical mods could generally be made more compact and sleeker as compared to regulated devices due to the lack of circuitry. Designers could take larger liberties while designing their mechanical mod, and at a point this less-restricted ethos and form factor appealed to many electronic cigarette users. On top of that, many craftsman had their own take on the basic design itself and came out with unique mod designs, such as those which resemble a pipe or hammer. Other than that, mechanical mods were also able to overcome regulated circuitry limits and could power atomizers with extremely low resistance (i.e. low Ohms) – potentially creating very intense vaping capabilities, surpassing that of the older generation devices. On the other hand, most circuitry during the earlier times were unable to support these low-resistance atomizers and would either stop working or display a message error. 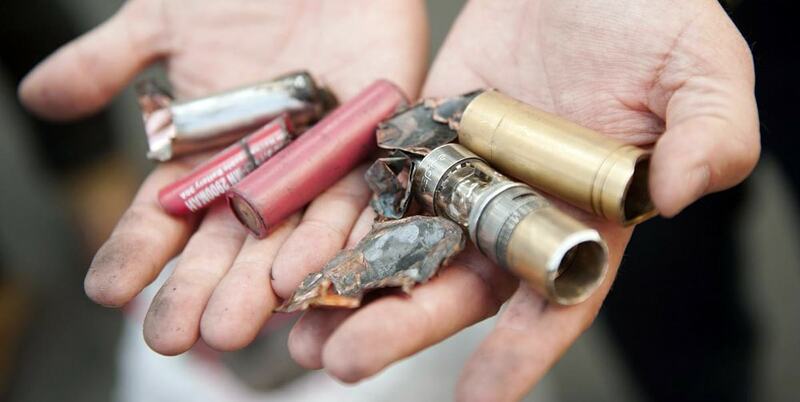 An exploded mechanical mod: most electronic cigarette explosion cases as documented in the media are usually caused by the use/misuse of a mechanical mod. Power consistency : Power output consistency is one of the biggest weaknesses of the mechanical mod design. Without any regulated circuitry, the power output is directly dependant on battery charge and only gets weaker as the user vapes. A user could start out with a very satisfying vape experience on a fresh battery, only to feel it dwindle as he/she uses it (sometimes within the hour itself). As such, it is very common for mechanical mod users to carry many spare batteries when they are out and about. No power adjustments : Users are not able to adjust the power output on a mechanical device and are only able to adjust the power intensity via modifying the coil setup of the atomizer. This was very cumbersome as users mainly used ‘rebuildable‘ atomizers on such devices and were not beginner-friendly. No safety features : As mentioned in the early sections, most modern microprocessors are installed with safety features that protects both the user and the device itself. Mechanical devices make do with none of them. As a result, they are definitely less safe than regulated devices. Battery Strain : To create intense power outputs without any form of circuitry regulation, a heavy strain has to place on the high-powered batteries, especially with extremely low-resistance atomizer setups. This could lead to the overheating issues, fires and even explosions (see image above). Dangerous : Using mechanical mods safely demands more technological knowledge and expertise from the user, and even then it can still be ratherunsafe. Minor connection issues between any contact point of the device could cause a short circuit and overheat the battery, which could catch fire or explode. Placing the mods itself, which are large bodies of metal, among conductive materials such as keys or coins could also cause the device to power up or short circuit unknowingly – again a danger hazard. The danger is especially more evident among newer users, who have zero to little knowledge on the mechanics of these devices. More hassle : To get the best out of a mechanical mod, the entire device itself has to be in its most conductive state. That means that the metal body and contact points would have to be free of dirt, contaminant and rust. Users of mechanical mods have to regularly clean and maintain their devices, especially those made with highly-conductive materials which tarnish easily (brass and copper). Encourages irresponsible/unsafe vaping : Without any form of electronic circuitry regulation within mechanical mods, users are essentially putting themselves and others who follow them in a risky position. On top of that, mechanical mods have been the subject of many modifications, such as stacking two batteries (to achieve higher Voltage output) and extremely low resistance – both which are very unsafe and are potential fire/explosion sources. Obsolete : Electronic cigarette microprocessors with better technologies and performance are already largely available on the market: they last longer, perform just as well (if not better), have more features and are much safer. Compared to a mechanical mod which has zero tech, regulated devices will only get better over time. Left: A portable dry herb vaporizer; Center: Ground leaves inside a dry herb vaporizer ‘oven’ chamber; Right: A larger tabletop dry herb vaporizer which is powered via a wall power outlet. Also known as ‘loose leaf vaporizers’, dry herb vaporizers are vaporizers which vaporize actual, ground leaf (or herbal) matter. They are available both in portable and tabletop forms but works on the same basic mechanism. The mechanism itself is very different from an electronic cigarette, i.e. it functions almost like a dehydrating oven. The user places some leaves into the ‘oven’, then powers it to heat up the oven chamber which essentially drains the leaf of all moisture (which is inhaled by the user). Left: A tobacco vaporizer where the user inserts a ‘cigarette’ into the vaporizer before use. Right: A tobacco vaporizer which uses sealed tobacco ‘capsules’. ‘Heat not burn’ vaporizers, also known as ‘tobacco vaporizers’ are portable vaporizers which use actual real tobacco leaves instead of e-liquids. They work on the same basic mechanism as dry herb vaporizers, but have been optimized exclusively for use with tobacco. Manufacturers usually sell them with proprietary tobacco refills, such as shorter custom-sized ‘cigarettes’ or ‘capsules/pods’ filled with ground tobacco leaves. These vaporizers essentially heat up tobacco leaves to produce a mild vapor in contrast to smoke, and have too been marketed as a healthier smoking alternative. However, these devices have a reputation for having very short battery life due to the high energy consumption of dry-heating the leaves. While they produce arguably the most authentic tobacco flavors, the vapor production itself is generally weak and lack intensity. They are also less flexible (proprietary systems) and are available with a smaller selection of flavors as compared to e-liquids. 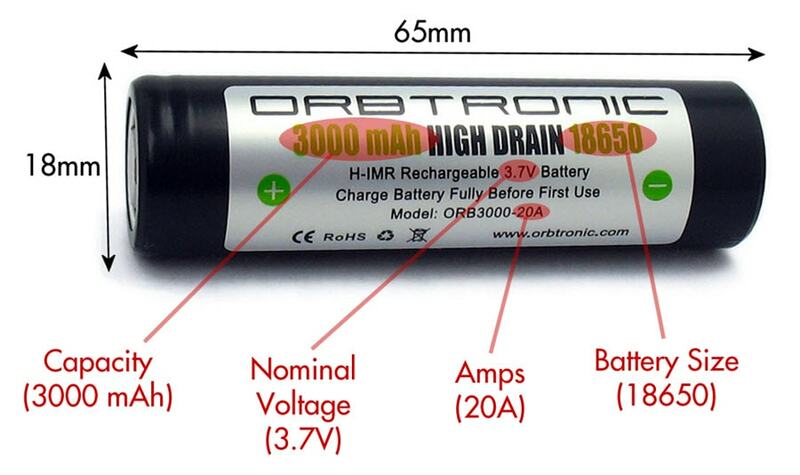 Batteries are one of the most important components in an electronic cigarette device and while there is a large variety of batteries available in the world, this section will highlight the most commonly used variety of battery used in electronic cigarettes: Rechargeable High-Drain Lithium-Ion & Lithium Manganese Batteries. They can be available as a built-in flat or cylindrical battery in some devices or are individually replaceable units (see image above). Please note that some older electronic cigarette devices have used built-in Lithium Polymer (Li-Po) battery packs, but they are regarded as less safe and are now generally obsolete battery choices. On the other hand, many devices do utilize replaceable cylindrical batteries which come in different sizes and capacities. These batteries, while used in electronic cigarette devices, have been introduced many years before for high performance electronics such as lasers and high-intensity flash lights. The first two digit in these battery sizes refer to the battery diameter (in mm), while the following two digits refer to the battery length (in mm). For example, an 18650 battery would have an 18mm diameter (girth) and 65mm length. These cells have a nominal voltage of 3.7V and are generally divided into two categories: ICR and IMR. Both ICR and IMR batteries are the most commonly available battery types used by electronic cigarette devices. ICR (Lithium Ion) : One of the most common types of Lithium-Ion batteries around and are usually made with a circuitry protective chip. This integrated circuit protects the cell against common dangers such as overcharge, over-discharge, short-circuits and temperatures. They are commonly known as ‘protected batteries’ or ‘protected cells’. Due to the integration of the circuitry within the battery itself, they are commonly known to have lower current capabilites (amp ratings) and lower capacities. IMR (Lithium Manganese) : Also known as ‘INR batteries’ or ‘unprotected batteries’, modern IMR batteries are made with a safer chemistry and does not require a built-in protective circuit (unlike ICRs). They have higher tolerance to stress and heat buildup – and do not pose as much of a fire risk in the case of a failure compared to a ICR cell. They are known to have higher current capabilities (High Drain) and higher capacities and are regularly used in newer, higher performance APVs with lower atomizer resistance limits or higher Wattage functions. A 18650 IMR battery with manufacturers’ label. Batteries can be generally broken down by two major characteristics/specifications: capacity (mAh rating) and amp rating (current capability). 1. Capacity : This is an approximation for how long a battery that can be stored within the battery at one time. The larger the capacity, the longer battery would last (technically). It is measured in the unit of ‘Miliamp Hour (mAh)‘. For example, the battery in the image above has a capacity of 3000 mAH. 2. Amp Rating : The amp rating for a battery is also known as its ‘Continuous Discharge Rate (CDR)’, the maximum electrical current at which the battery can be discharged to power a device continuously before the battery will fail. A high amp battery (normally above 20A) will be able to handle higher electrical currents and operate devices which can produce very intense vaping capabilities safely, whereas a low amp battery would not work in the same devices (if it detects that the battery amp rating is too low). The higher the amp rating of the battery, the higher the wattage (power output) the device is able to put out. The amp rating is measure in the unit of ‘Amps (A)’. For example, the battery in the image above has an amp rating of 20A. IMR and ICR batteries are both considered ‘high drain’ batteries and have higher amp ratings (discharge rates) than most regular batteries. However, IMR batteries in general have higher amp ratings when compared to ICR batteries, which allows it to be used on higher-powered devices or with lower resistance atomizers. ICR batteries on the other hand, are known to have higher battery capacities (mAh) as compared to IMR batteries, which makes it last longer with a lower-powered device. Both IMR and ICR batteries are generally safe when handled properly. However, it should be noted that protected ICR batteries with built-in protective circuitry which protects it from failing are regarded as the safer of the two. IMR batteries on the other hand, can handle larger amounts of stress and are very unlikely to fail with normal use. For extra precaution, these batteries are best used with regulated devices that have built-in safety features. As a final note, it should be made very clear that understanding the basics of how a battery functions is very important for all electronic cigarette users. Abusing or misuse of batteries can lead to hazardous results, e.g. most incidents of electronic cigarette (specifically mechanical devices) explosions and fires have been a result of clearly damaged or overly-stressed batteries. While many batteries have higher discharge rates than necessary (unachievable by normal regulated devices), some extremely high-powered regulated devices or mechanical mods may operate at a point where it exceeds the battery’s limits and becomes a danger risk. Please use all electronic cigarette devices responsibly. Whether it is a cigarette lookalike or a complex APV, all electronic cigarette devices require an atomizer (heating element) to work. An atomizer is defined as a device for ’emitting liquid as a fine spray’ and is the part directly responsible for turning e-liquid into vapor (vaporizing the liquid via resistance heating). A ‘coil’ or ‘heating coil’ is commonly used in the construction of the atomizer, along with a ‘wick’ which absorbs and transfers the e-liquid to the coil itself. A coil setup in a tank atomizer which utilizes a cotton wick: The e-liquid is absorbed via the cotton from both left and right directions and is transferred to the center coil (which looks like a spring). The coil will then heat up, vaporizing the e-liquid and turning it into vapor. Most modern atomizers are ‘modular’ in which they utilize a universal threading connection and can be used interchangeably on many different devices. As such, many manufacturers of electronic cigarette devices produce their own atomizers and market them separately from their devices. In fact, there are quite a few manufacturers in the world who specialize in making atomizers (and atomizer parts) only, e.g. Svoemesto, House of Hybrids. On top of that, popular well-received atomizers are known to spawn further improved variations over time. What types of atomizers are out there? Left: Typical pre-filled cartridges for cigarette lookalikes (in a pack of 5); Right: Uncommon pre-filled cartridges for a unique, non-cylindrical compact electronic cigarette. The most widely available type of atomizer in the early years of e-cigarette adoption is known as electronic cigarette ‘cartridges’ – essentially a cartridge fitted with a built-in atomizer element and silica/cotton wool which is filled with a specific e-liquid flavor and nicotine strength. These cartridges are small, typically cylindrical and fits cigarette lookalike batteries to maintain the traditional ‘cigarette’ form factor. They are designed to be disposable (for one time use only) and factory-filled with a small amount of e-liquid (around 1ml or so). The atomizer itself is generally low quality atomizers which produce very little vapor and are not recommended for high-powered devices, even via an adaptor. A normal user would go through 1-3 of these cartridges a day and would have to purchase extra cartridges once he/she has finished using them. A user could purchase these cartridges which are bundled as part of their electronic cigarette kit, or he/she could purchase them separately, i.e. without the battery or charger. On another note, several other manufacturers have designed and released unique cartridge system devices (such as the one on the right image above) – these are usually sleek ’boutique’ devices which are not necessarily popular among users. They remain a ‘niche’ products due to their proprietary cartridge systems which are not readily available and could be pricier than regular cigarette lookalike cartridges. On top of that, these pre-filled cartridges might be filled with e-liquid which are not necessarily popular among users, whereas tank systems on the other hand, allows the user to use whichever e-liquid he/she desires. On a general note, cartridges are known to be a more expensive option in the long term due to the disposable factor, but are mainstream enough to be sold in many places due to them being sold together with the most appealing type of electronic cigarette yet: the cigarette lookalikes. While they are sufficient for some, many electronic cigarette users ‘graduate’ from the cigarette lookalikes and eventually go towards a tank atomizer system for better performance. Left: Standard cartomizers (in black & white finishes); Center: A dual-coil cartomizer (including disassembled construction); Right: A cartomizer tank system utilizing a ‘punched’ cartomizer. Cartomizers are very similar to cigarette lookalike cartridges, in that they are essentially cartridges with an integrated atomizer element. However, cartomizers were initially introduced as an improvement over the older cartridges and had improved vaping capabilities and e-liquid capacity. These cartomizers regularly use a lower resistance coil with improved e-liquid absorption capabilities, allowing users to produce more vapor especially with the use of a higher powered device. They are also typically built with 510 threadings as opposed to the non-standard cigarette lookalike threadings which allowed them to be used on most devices, including vape pens and APVs. The largest advantage of the cartomizer system, however, was its ability to use virtually any e-liquid. As opposed to disposable cartridges, these cartomizers were designed as refillable cartridges with an ‘open end’, which allows the user to fill them with any e-liquid he/she desires. On top of that, some later cartomizers were fitted with two coils (commonly known as ‘dual coil cartomizers) and were able to provide a more intense vaping experience. However, while being slightly larger/longer than most cigarette lookalike cartridges, these cartomizers could only hold about 1.5ml to 2.0ml of e-liquid, which led to some manufacturers/users ‘modding’ them. By ‘punching’ a hole or two on the cartomizer itself, a tank could be fitted onto the cartomizer itself, transforming the cartomizer into a complete tank system. These tank systems, frequently known as ‘DCT (Dual Coil Tank) systems, were very popular for a period of time. There are a few weaknesses however: they were relatively hard to fill, could ‘flood’ (where the e-liquid gets into the airway, causing some liquid bubbling during inhalation) easily and were prone to leaking when used with a tank. As newer tank systems were introduced, especially with better performance and ease-of-use, manufacturers began phasing out the cartomizer systems. Unlike cigarette lookalike cartridges, cartomizers are now regarded as obsolete and are discontinued from sale by most stores. Left: The eGo-C atomizer; Center: A ‘full’ eGo-C system’; Right: eGo-C tank cartridges. When the first vape pens were introduced, one of the earliest systems available for the larger, more powerful eGo batteries was the ‘eGO-C’ system. This system consists of a separate atomizer which is used in conjunction with a ‘tank cartridge’ (which was refillable). This system was initially designed to solve the disposable cartridge issues: specifically the waste factor where the integrated atomizer was disposed along with the cartridges. With the eGo-C system, the user could replace the small atomizer separately when it was deemed unusable. This system also allowed user to change tank cartridges as they see fit, e.g. changing to a different tank cartridge which contains a different e-liquid. However, the eGo-C system was flawed and had suffered from many problems. Firstly, the atomizer was fragile and did not perform very well. Due to the small size of the atomizer, the airflow was inherently tight and was prone to failure even when used with care. The tank cartridges had a very unsecure seal which meant that the atomizer frequently leaked or flooded easily. In short, it was a poorly-designed system which inevitably frustrated many users. Eventually, the introduction of better performing cartomizers and the more user-friendly first generation tank systems rendered the eGo-C system obsolete. Most manufacturers have stopped producing eGo-C system devices a while ago and they are most likely completely discontinued from the market. However, it is important to note the historic significance of this system which spurred the development of later generation products. Next to the disposable cartridge atomizer systems, tank atomizer systems are undoubtedly the most popular atomizer systems in the world at this very moment. Tank systems have a transparent tank section (for viewing e-liquid levels) which is either made from plastic or glass. They also come in all forms and shapes, and are generally categorized into two types: Clearomizers and Rebuildables. Clearomizers, short for ‘Clear Atomizers’, are essentially tanks which utilizes a ‘coil head’ atomizer system. Coil heads are replaceable atomizer units which are commonly screwed into a tank (which essentially serves as a mechanical ‘eliquid-holder’) filled with e-liquid. The user draws e-liquid into the coil head during inhalation, while the power source powers the coil located inside the coil head, producing vapor. The tanks in clearomizers are generally made from hard wearing plastics (e.g. polycarbonate) or durable glass (tempered Pyrex glass), where the non-tank parts can be made from metals such as alloys, stainless steel or aluminium. Clearomizer coil heads are generally easy to change within a short amount of time. As such, clearomizers are commonly regarded as good choices for newer users (or users who want a more convenient tank system). Some examples of clearomizer coil heads. Left: A ‘top-coil’ coil head (CE4); Center: A ‘bottom-coil’ coil head (Kanger ProTank); Right: A ‘bottom dual-coil’ coil head. Please understand that there are too many types of clearomizers in the market . It is virtually impossible to describe all of them in this guide. However, this section should give you a good idea of what they look like and how they work. The earliest clearomizers, such as the CE4, were introduced at approximately the same time when vape pen (eGo) devices were introduced. As such, most of these clearomizers were thin and long to complement the sleek ‘pen’ form factor. The CE4 for example, was a clearomizer with a ‘top-coil‘ coil head design: where the coil head is located at the top part of the tank and had strands of silica wick which absorbs and transfers e-liquid into the coil itself. The capacity of the tank was slightly larger than the older cartomizer or cartridge systems, but was still relatively similar due to its thin design profile. The CE4 was probably the first mainstream clearomizer in the world, which led to improved versions over time, notably the ‘CE5’ and ‘CE5 Plus’ clearomizers. As more and more larger APVs were introduced in the market, larger clearomizers started making their appearance in the market. These had larger e-liquid capacities (usually over 2.0ml) and utilized different variations of ‘top-coil’ coil head designs – that includes using wicks of different thicknesses or including even more strands of wicks within the coil head itself. The top-coil design, however, was unable to work with higher power settings (without drying out) from the ever-improving APV devices. That led to the first ‘bottom-coil’ coil head design, where the coil head was located at the bottom section of the tank. The first famous clearomizer of this design was the Kanger Protank, which utilized a coil head with a very short wick and was designed to ‘submerge’ in the e-liquid. The advantage of the bottom coil was very apparent: it was able to perform better due to the fact that the coil itself is constantly in contact with the e-liquid, allowing it to be used at higher power settings without every drying out. The bottom-coil design were eventually preferred by most users over top-coil designs and rendered the latter obsolete. Some examples of ‘bottom-coil’ coil heads. Left: A horizontal ‘single-coil’ unit; Center: A newer vertical horizontal ‘single-coil’ unit; Right: A ‘dual-coil’ unit. Over time, more manufacturers were able to improve their clearomizer bottom-coil systems and introduced new variations of their coil heads which utilized unique technologies, such as ‘dual-coil‘ (where a coil head contains two coil heads to provide a stronger vape experience) designs or ‘vertical coil‘ (where a coil is installed vertically instead of horizontally, allowing the manufacturer to apply more wick material around it – improving e-liquid absorption) designs. On top of that, they began experimenting with newer, better wick material – rather than silica threads (which did not have very good absorption capabilities and were regarded as inferior in terms of flavor reproduction) – and produced newer coil heads using cotton instead (sometimes with a mix of stainless steel mesh. It is important to note that clearomizer tank systems are still regarded as ‘disposable coil’ systems, where a user would have to purchase new coil heads to replace their used coil heads. Inevitably, some users have deemed this as a more expensive (and possibly inferior, performance-wise) option in the long term over ‘rebuildable’ tanks. There is also the possibility of a manufacturer discontinuing the production of a particular coil head, which essentially ‘retires’ the entire tank system at that point. 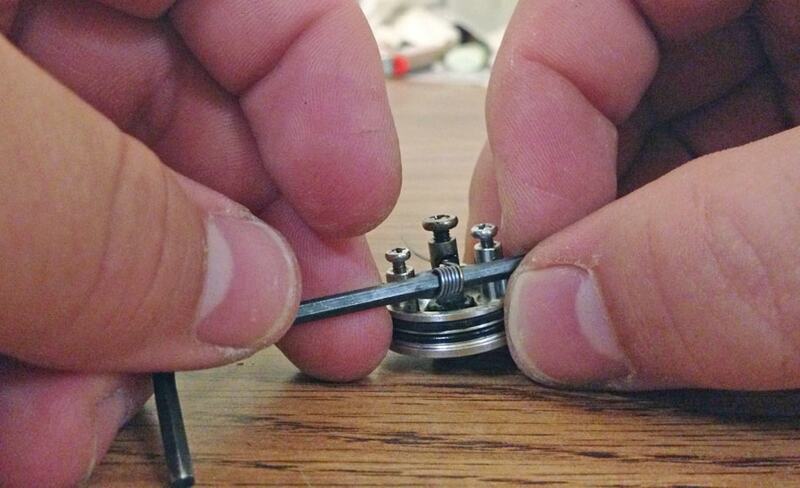 Of course, there are some users who actually dismantles and ‘rebuild’ their coil heads, but that itself is a relatively complex and time-consuming process. With that said, using clearomizer coil heads are usually significantly cheaper in the long run as compared to using cigarette lookalike cartridges. Moreover, they are possibly the most user-friendly, time-saving, and hassle-free tank systems in the world. Due to their relative ease of use, newer or first-time users would generally be recommended to use a clearomizer system over anything else. With the constant improvement of these systems (including the coil heads), clearomizers are gradually getting closer to the performance to many of the most well-known (and expensive) rebuildable tank systems and are still largely popular among electronic cigarette users. A clearomizer coil head can generally last anywhere between 1-3 weeks depending on frequency of usage, design and the e-liquid used. Most users buy and store extra coil heads for their clearomizers – just in case they need to change it. A user ‘building’ a heating coil using heating wire and an Allen key. Unlike clearomizers, using a rebuildable atomizer requires extensive knowledge, experience, and patience. Setting up usually requires a larger amount of time and is generally a much more complex process itself. Commonly known as ‘rebuildables’ or ‘rebuildable atomizers’, rebuildable tanks generally refer to atomizers which do not use coil heads. Instead, they require a user to set up the tank (or ‘build’ their own heating coils) himself/herself. Not only does this require the user to have in-depth knowledge of constructing heating coils (and attaching them to the respective tanks), the user would also need to have an array of tools and coiling material (such as wick, heating wire etc.) at hand. As such, rebuildable tanks are commonly regarded as ‘advanced’ tank systems used only by more experienced users and vaping enthusiasts. Why use a rebuildable atomizer? A) They can perform better : Without the need for a coil head system, manufacturers can design a less-constrained atomizer which improves the inherent mechanism – leading to an improvement in airflow (smoothness), flavor reproduction, vapor production and compatibility with higher power output. B) Customizability : With a rebuildable, it is entirely possible for a user to extract as much performance potential as possible, depending on how the user sets up the coil. Many users experiment with different types of heating wire, coiling methods and wick materials (and wicking techniques) to create a vaping experience most suited for them. Setting up the coil yourself allows one to customize the atomizer resistance, wicking capabilities and more. On top of that, manufacturers regularly release ‘modification’ parts for users to modify the atomizer further, such as: threading adapters, airflow control parts, tanks of different materials and capacities and so on. C) Cost savings : Instead of buying a fully-machined coil head from a manufacturer, users can rebuild a coil with relatively little money. The key two materials required are heating wires (e.g. 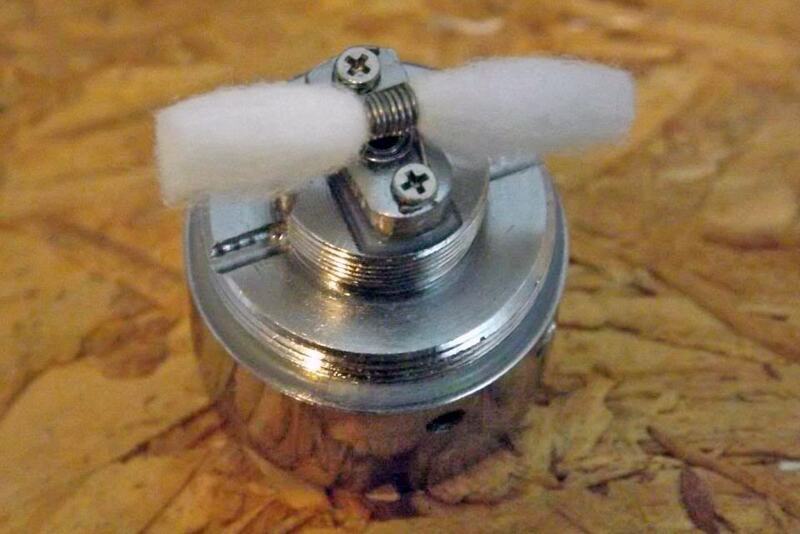 Kanthal wires) to construct the coil itself and some wick (regularly silica or cotton). Both these materials are considerably cheap especially when bought in bulk and do offer cost savings with long term use. D) It is more involving : While this may not necessarily apply to most people, some users do find the more tedious process of using a rebuildable more involving. Some enthusiasts actually enjoy the process of learning about the mechanisms of the atomizer, experiment with different set ups and ultimately trying out their device on their custom setups. In fact, some simply enjoy using rebuildable atomizers as a hobby on its own. E) Flexibility : With custom set ups possible, rebuildables can be set up differently for use with different devices. For example, the atomizer can be set up to improve flavor reproduction for one device; or set up for maximum vapor production for use with a different device. Moreoever, some rebuildables are designed with different functions in mind, such as the capability to work as either a single-coil atomizer or a double-coil atomizer. F) Prevents obsolescence : The high pace of the electronic cigarette sector leads to the invention and sale of many different products through time. Unfortunately, many early clearomizers (especially top coil designs) are phased out by the manufacturer as soon as a better product hits the market, making them obsolete in a relatively short amount of time. The coil heads may too be discontinued from production, leaving the user ‘stranded’ with a device in which the user is unable to procure a coil head for further use. Rebuildable coiling material on the other hand, is easily available at all times and allows the atomizer itself to be used far into the future. 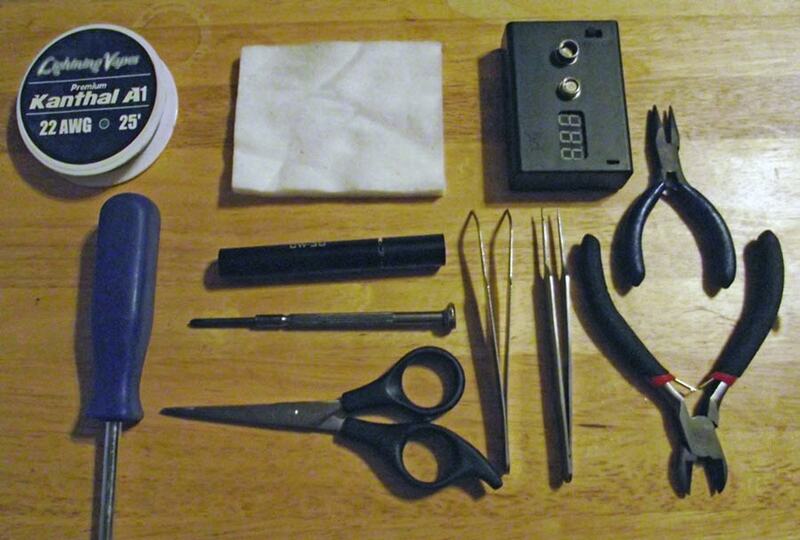 Some common tools and materials used for building a coil: Tweezers, pliers, wire cutter, screwdrivers, scissors, cotton (wick), heating wire (Kanthal wire) and an ohm meter. A) Requires in-depth knowledge : Firstly, a user of a rebuildable atomizer would need to understand the principles of resistance heating (e.g. Ohm’s Law) and that they need to know how to build a coil properly. Most users would have to undergo a trial-and-error phase, where they would need to learn and practise setting up their rebuildable atomizers. The process can be long and complex depending on the atomizer itself, but this goes to show that they are certainly not beginner-friendly units. B) Setting up can take a long time : Clearomizers are designed to be ‘plug-and-play’ units, where a new user can easily set up their tanks within a very short amount of time and begin enjoying their electronic cigarette almost immediately. Rebuildables on the other hand, require a much longer time. Building a coil it just the first step – the user regularly needs to ‘test’ the coil and install the wick correctly before actual use. In addition, a lot of fine tuning is required by the user for the atomizer itself to function optimally. C) Prone to mechanical issues : Complex rebuildables are regularly constructed from many pieces and parts which are required to function together. A small mistake or an error can lead to problems such as leakages, poor wicking, weak power output or the atomizer not even working at all. Unfortunately, human error is inevitable and that could lead to a very frustrating user experience especially for newer users. D) Prone to abuse/misuse : Unlike clearomizer coil heads which are designed to be safe and are manufactured to exacting standards, rebuildables can actually lead to danger in some cases. That includes building a coil which has overly low resistance, causing the battery to overexert and overheat. A badly set up rebuildable can also cause a battery short-circuit situation, which can definitely cause problems especially with a mechanical device. Moreoever, users might unknowingly build their coils with hazardous materials which can be detrimental to their health, such as using toxic metal wires or unsafe wick materials (which can release toxic fumes when heated). E) Inconvenient : While rebuildables do not require the user to purchase coil heads, it can be very inconvenient especially when they are out and about. A worn down coil (or worse, a badly set up coil) in a normal social situation would require the user to take time away to set up the coil again, provided that they have brought along their ‘toolkit’. A clearomizer user on the other hand, can replace a coil head in a very short amount of time and continue using his/her device. E-liquid, also known as e-juice, is the fluid which fuels an electronic cigarette (which runs on an e-liquid system), and is the component which provides the nicotine solution and flavoring to the electronic cigarette. When heated in an electronic cigarette, it turns into an inhalable vapor that mimics the smoke from actual tobacco cigarettes. It is typically sold separately in a bottle or can be included within a sealed cartridge or pod (for cigarette lookalikes or pod system devices). Some users are also able to purchase the ingredients and flavoring separately to make their own e-liquids, but we highly discourage anyone from doing so. Please note that there are e-liquids which do not contain any propylene gylcol (referred to as 100% VG e-liquids); or those without any nicotine (referred to as zero-nic or nicotine-free e-liquids). Propylene Glycol is a very common ingredient in commercial food and daily household products. Left: Pre-packaged salad dressing; Center: Bar soap; Right: Baking mix. Propylene Glycol, or commonly known as PG, is one of the main ingredients of e-liquids. It is a clear, colorless viscous liquid which is nearly odorless but possesses a faintly sweet taste. PG is commonly used as a humectant (absorbs water to keep products moist), solvent and preservative in food and tobacco products. It is important to note that PG used in the manufacturing of e-liquid must be food grade or pharmaceutical grade, which are high in purity and is acceptable for food, drug and/or medicinal use. A very common name for PG of such grade is USP Grade, which is a grade of sufficient purity to meet or exceed the requirements of the United States Pharmacopeia (USP). Only PG which are of these quality will be considered safe for use in the making of e-liquid. The amount of PG used in e-liquid and food products are considerably small and are generally not harmful to the human body. Other grades, such as industrial-grade PG will have lower purity with unwanted particles or industrial dust/metals. These are generally used for manufacturing industrial-grade products such as antifreeze, automotive lubricants and so on. Industrial-grade PG is NOT SAFE for consumption and is especially not safe for inhalation. In e-liquids, PG functions as the carrier of flavorings and nicotine, which transfer nicotine and flavors to the user more effectively. I.e. A higher PG ratio e-liquid would generally give better flavor and would also lead to higher ‘throat hit’, as the PG is able to carry the flavors and nicotine to the throat and tongue more effectively. – The acute and long-term oral toxicity of PG is extremely low, and large quantities will be required to cause perceptible health damage to the human body. – Prolonged contact with PG is essentially non-irritating to the human skin and is generally regarded as safe during handling. Lengthened exposure to skin might however cause mild irritation. – As with soap/shampoo, pure PG is minimally irritating when in contact with the eye, while diluted PG is even less so. – Inhalation of PG vapor is generally safe for reasonable amounts of time. PG is used in fog machines to product ‘artificial smoke’ during concerts or shows. – PG Vapor is practically odorless and tasteless. – According to the World Health Organization (WHO), an acceptable dietary intake of PG is 25mg every Kilogram (Kg) of body weight. Similarly to PG, Vegetable Glycerin is widely used across many food and household products. Left: Energy bars; Center: Skin moisturizers; Right: Cookies. Also known as Vegetable Glycerol or VG, VG is another important ingredient in e-liquid. It serves as the primary base ingredient for most e-liquids made today – especially for 100% VG and PG-free eliquids. It is a colorless, odorless, viscous liquid that is reasonably sweet-tasting and non-toxic. VG is generally obtained from plant sources (typically palm, coconut or soy) through a process known as ‘hydrolisis’ where it occurs as triglycerides. It should not be mistaken for regular glycerin/glycerol which can be obtained from either an animal source, plant source, or a mixture of both. VG is most closely associated to the food industry and is classified as a carbohydrate by the Academy of Nutrition and Dietitics. VG is commonly used as a ‘humectant’ (absorbs water to keep products moist), sweetener and preservative in food and tobacco products. It is also used as a filler in many low-fat foods (e.g. cookies), as a anti-hardening agents in creams and frostings, and as a thickening agent in some liquers. On top of that, it also serves as an alcohol-free alcohol replacement (i.e. as a solvent) in preparing herbal or plant extractions instead of the use of ethanol. While VG is largely known for its use in food production, VG (and/or regular Glycerin/Glycerol) is also used industrially to produce antifreeze (but less popular than ethylene glycol), serve as a fuel for certain types of power generators, and even to produce nitroglycerin (for the production of dynamites). However, VG itself has been regarded as a very safe ingredient for consumption and is generally not an ingredient of concern in most of its application. It is important to note that VG used in the manufacturing of e-liquid must be food grade or pharmaceutical grade, which are high in purity and is acceptable for food, drug and/or medicinal use. Typically, high quality USP-grade VG are considered safe for use in the making of e-liquid. Industrial-grade VG is NOT SUITABLE for the manufacturing of e-liquid. In e-liquids, VG serves as a sweetener and thickener where a higher VG ratio e-liquid would typically have a relatively sweeter taste and is able produce thicker, creamier and smoother vapor. Similarly, higher VG ratio e-liquids (with less PG content) would have a lower throat hit and might be preferred by users looking for a smoother, creamier, less intense vaping experience. However, higher VG ratio e-liquids are known to easily ‘gunk’ heating coils, which makes coil heads last shorted as compared to when using a higher PG ratio e-liquid. – VG is known to be non-toxic and does not cause any form of noticeable irritation even with prolonged consumption/exposure. – The small amount of VG used in most food products are not known to cause any side effects. However, due to its nature as a sugar alcohol, it can cause nausea or have a laxative effect with excessive consumption. – VG is chemically classified as a sugar alcohol and metabolizes differently than sugar and is used in low carbohydrate food for sweetness and moisture. Unlike sugar, VG does not contribute to tooth decay. – As a food additive, VG is labelled as a E number (E422) and is used in many commercial food products throughout the world. – VG has no known carcinogenic effects (i.e. does not cause cancer), DNA-damaging mutagenic effects or birth defect-causing agents. – VG is used as a based ingredient in many popular skin or hair moisturizers due to its humectant effect which absorbs water into the skin very effectively. – VG is ‘bacteriostatic’, which stops bacteria from reproducing. – VG tablets (known as oral glycerin), as a drug, is used to treat glaucoma by lowering the high pressure within the human eye. – VG is usually made from palm oil, soybean oil or coconut oil. Individuals with known allergies to these products are recommended to avoid consuming VG. What is the perfect PG/VG ratio? Most e-liquid manufacturers have their own preferred PG/VG ratios for their e-liquids and it should be noted that there is no ‘perfect’ ratio – PG/VG ratio is largely dependent on user preference and suitability within the flavor itself (to achieve certain smoothness or texture). Fruitier or menthol flavors generally have higher PG content while creamier, dessert-like flavors would have higher VG content in their blends. This however, is not necessarily true for all e-liquids. As mentioned in the earlier sections, higher PG ratio e-liquids would generally give better flavor and would also lead to higher ‘throat hit’, as the PG is able to carry the flavors and nicotine to the throat and tongue more effectively. On the other hand, higher VG ratio e-liquids (with less PG content) would have a lower throat hit and might be preferred by users looking for a smoother, creamier, and less intense vaping experience. However, higher VG ratio e-liquids are known to easily ‘gunk’ heating coils, which makes coil heads last shorted as compared to when using a higher PG ratio e-liquid. Nicotine is found mainly on tobacco cigarettes and other Nicotine Replacement Threrapy (NRT) products such as nicotine chewing gum and patches. Nicotine is an alkaloid (nitrogen-containing chemical) found mainly in tobacco plants and is classified as a stimulant drug or in some countries, a poison – which makes it by the far the most discussed, albeit controversial, ingredient in the manufacturing of e-liquids. Nicotine is produced from several type of plants such as the tobacco plant (primary), red peppers, eggplant, tomatoes and potatoes. As most smokers would agree, nicotine is highly addictive. People who regularly consume nicotine (usually through tobacco smoking) and then suddenly stop experience withdrawal symptoms, which may include cravings, a sense of emptiness, anxiety, moodiness, inattentiveness and even depression. It is one of the hardest substances to quit once addicted and as such is linked to the addictiveness of tobacco and subsequently, electronic cigarettes. Once a user of nicotine is addicted, he/she would need regular consumption of nicotine throughout the day to curb the craving. 1. Pharmacologic Effect – When humans, or most animals/mammals, are exposed to nicotine, it increases their heart rate, heart muscle oxygen consumption rate and heart stroke volume. 2. Psychodynamic Effect – The consumption of nicotine is linked to raised alertness and memory, euphoria, and a sensation of being relaxed. The nicotine used in the making of e-liquids serve the same purpose as nicotine in tobacco cigarettes and other NRT products, but is delivered via vapor inhalation as opposed through smoke inhalation, actual oral consumption or skin absorption. While consumption of nicotine in general is discouraged for consumption due to its effects on the human body, nicotine itself is not a highly dangerous substance. There are an estimated 1 billion smokers in the world who are consuming nicotine on a daily basis, primarily through smoking of tobacco. As with most NRTs, the primary advantage of including nicotine in the making of e-liquids is its ability to prohibit the user from smoking tobacco cigarettes. Studies have shown that nicotine itself poses few health risks (except among certain vulnerable groups) and in the form of NRTs and electronic cigarettes is less of a risk as compared to smoking. As mentioned in an earlier section, traditional smoking is linked to many toxins/carcinogens such as tar and carbon monoxide, which are omitted during the use of an electronic cigarette and nicotine e-liquid. It should be noted that nicotine itself has not been proven to cause cancer, and is NOT classified as a carcinogen. By switching from tobacco cigarettes to an electronic cigarette using e-liquid containing nicotine, a user is effectively reducing his/her exposure to various carcinogenic chemicals which can harm the user over long term use. As such, the consumption of nicotine through e-liquid is generally regarded as many times safer than through smoking tobacco cigarettes. However, as with tobacco cigarettes and other NRTs, the consumption of nicotine should be a conscious adult decision and is only encouraged for smokers above the smoking age. Non-smokers who do not consume nicotine should ideally avoid nicotine (or electronic cigarettes) altogether. For the many smokers who find themselves addicted, e-liquid presents itself as another viable medium of nicotine consumption which can be regarded as comparatively better (when compared to tobacco smoking). When it comes to nicotine absorption, vaping is often compared most readily to smoking. Most tobacco cigarette brands tell the smokers (through their packaging labels) how much nicotine is available in each cigarette (typically between 6mg and 18mg), and as e-liquid comes with its own measurable strength, it is theoretically possible to calculate the nicotine consumption during the use of an electronic cigarette. However, differences in electronic cigarette devices and the rate at which the e-liquid is being vaporized (i.e. power output levels) lead to big differences in how the nicotine is transferred to the body. E.g. A much more powerful device with a 3 mg/mL e-liquid may produce the same intensity as a 12 mg/mL e-liquid on a less powerful device. On top of that, the way users vape or use their devices may also lead to differences in the actual nicotine delivery. Moreover, unlike a tobacco cigarette, there is no set ‘dosage’ for an electronic cigarette. Compared to the early cigarette lookalike or vape pen devices, newer generation, more advanced (i.e. higher powered and more efficient) devices can delivery nicotine more effectively and in larger doses – blurring the line even further. Dosage-wise, the number of ‘puffs’ (inhalation) it takes to equal one tobacco cigarette is a question that is difficult to answer, especially from device to device. E.g. 10 ‘larger puffs’ would generally transfer more nicotine to the user than 10 ‘normal puffs’, but this may not hold true with different devices or e-liquid nicotine strengths. Without a set dosage, some users may also take more ‘puffs’ compared to others for a single ‘session’ As such, it is extremely difficult to measure the amount of nicotine different users may consume during the use of electronic cigarettes. On the bright side, it is very unlikely that vaping will cause the user to consume dangerous amounts of nicotine, even with prolonged periods of continuous use. In short, the user experience and knowledge is very important for nicotine exposure. To select the correct nicotine strength in e-liquids, the vendor would need to understand the user’s nicotine tolerance level and recommend the appropriate nicotine strength which would both be best suited for the user’s preference and device. While a new user might prefer lower nicotine strength e-liquids to start with, it is generally more suitable to start on a stronger nicotine strength e-liquid (due to the difference in nicotine delivery) – to better reduce the nicotine craving during the transition from cigarette to electronic cigarette. Studies have shown that e-liquid vapor delivers a significantly lower amount of nicotine through the bloodstream as compared to tobacco smoke. In the research titled “Nicotine Absorption From Electronic Cigarette Use: Comparison Between First and New-Generation Devices”, the researchers are able to find out that it took an hour of puffing an early electronic cigarette (i.e. cigarette lookalike) to obtain the same blood nicotine concentration that could be obtained by smoking a tobacco cigarette for five minutes. Even with the use of newer generation (i.e. higher powered) devices, the blood nicotine concentration was still significantly lower than smoking a tobacco cigarette for the same amount of time. Different manufacturers label their e-liquids with different nicotine strength measurements (*highlighted in red). Left: An e-liquid which reads ‘6 mg/mL’ strength; Center: An e-liquid which reads ’12 mg’ which is an informal reading for ’12 mg/mL’; Right: An e-liquid which reads ‘0.6%’ which is equal to 6 mg/mL strength. It should be noted that lower nicotine strength e-liquids (such as 3 or 6 mg/mL) are generally used by enthusiast with high-power devices to produce an intensity which matches lower powered devices on higher nicotine levels. However, this may not be an effective solution as the user may increase his/her nicotine dependency as the lower nicotine strength might cause the user him/herself to vape more frequently and ultimately go through a lot more e-liquid. 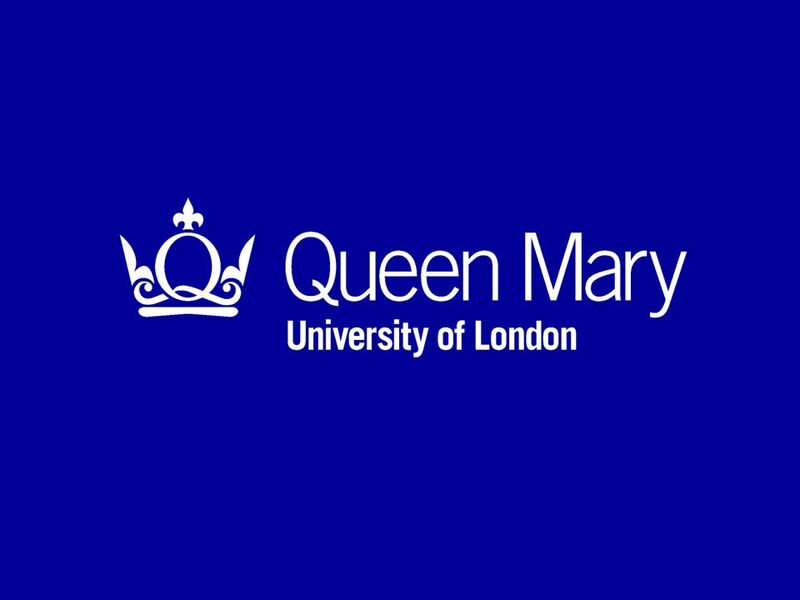 Lower nicotine e-liquids can also be used by users who are looking to reduce their nicotine intake, but this might not be an effective method – we have observed that most users who switch to a lower nicotine level e-liquid end up vaping more frequently (and using more e-liquid), hence consuming similar levels of nicotine eventually. Zero nicotine e-liquids are one of the less popular strengths of e-liquids and are used primarily by enthusiasts who did not smoke in the first place (and thus do not require nicotine in their electronic cigarettes). These nicotine-free e-liquids are also used by users who want to quit their nicotine dependence completely, but those who successfully quit nicotine completely are rare and represent a very small fraction of actual electronic cigarette users. Lastly, it must be noted that the amount of nicotine in an e-liquid, the vaping hardware, and the method of vaping matters to all users of electronic cigarettes. The amount of nicotine in a e-liquid establishes the baseline for nicotine absorption during use: a 3 mg/mL e-liquid will never deliver as much nicotine as a 12 mg/mL e-liquid, regardless of the hardware or vaping methods used. Understanding all the elements involved will most definitely help a user in the search of the most suitable nicotine strength for him/her, while providing the most satisfying and effective vaping experience. Left: Cigarette Smoke; Right: A user exhaling vapor (from an electronic cigarette). Looking at the images above, it is clearly evident that there are no discernible visual differences between ‘smoke’ produced from cigarettes and ‘vapor’ from an electronic cigarette. While that is the case, the actual compound differences between them are by far larger than most people would think. What is SMOKE? Smoke is a collection of airborne solid and liquid particulates and gases emitted when a material undergoes combustion (the process of burning) – it is an unwanted by-product in fires. In short, cigarette smoke is produced when a smoker burns processed tobacco leaves (along with the cigarette paper wrapper) during the act of smoking a cigarette. The smoke is typically pungent and strong (filled with hydrocarbons and carbonyls) and sticks easily to clothing, hair and other materials. The taste is very robust and somewhat bitter in most cases. 2) Cancers: lung, mouth, throat, kidney, pancreas etc. What is VAPOR? Electronic cigarette vapor is produced when an e-liquid is heated at temperatures which causes it to turn into a form of aerosol, a visible cloud of very fine liquid droplets. The texture is somewhat denser/thicker (especially when using e-liquids higher Vegetable Glycerin content) but is overall very similar to cigarette smoke. It is created in a heating process not unalike boiling water (which creates steam). Electronic cigarette vapor is also usually subtle and fragrant in smell – which dissipates quickly and does not stick to fabrics or hair as easily as smoke. In fact, vapor produced from unflavored e-liquid vapor is virtually tasteless, contains almost no aroma, and is highly undetectable. Due to the fact that vapor is not a product of combustion, electronic cigarettes produce considerably less by-products or chemicals compared to tobacco cigarettes. For example, extensive studies of electronic cigarette vapor have shown zero trace of carbon monoxide and tar. Why Use an Electronic Cigarette, as Opposed to Smoking Tobacco Cigarettes? 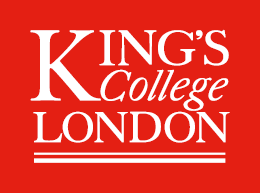 The answer is simple: Vaping is proven to be safer than smoking tobacco cigarettes (Reference: https://www.gov.uk/government/news/e-cigarettes-around-95-less-harmful-than-tobacco-estimates-landmark-review), and yet it can provide an experience that is similar or even more satisfying than smoking. Unlike tobacco cigarettes, NO combustion occurs in the process of using an electronic cigarette – combusting or burning materials at high temperatures is the major source of health problems associated with smoking tobacco. Unfortunately: many smokers will admit that quitting smoking is staggeringly difficult. While the nicotine in the tobacco cigarette plays a major role in keeping smokers addicted to tobacco, that is not the whole story either. Many smokers simply enjoy the activity (of smoking) in and of itself; the social element of smoking with/among associates, the satisfaction of oral fixation, the smoking ‘break’ factor and physically, the stimulation to both the body and mind. In short, smokers in general do find smoking tobacco cigarettes enjoyable up to a certain degree. On the other hand, electronic cigarettes are designed to simulate the act of tobacco smoking by producing an appealingly flavored vapor that looks and feels like tobacco smoke (while delivering nicotine). Furthermore, using an electronic cigarette also requires the user to inhale and exhale on the device as one would on a tobacco cigarette. As such, electronic cigarettes are often regarded as the closest thing next to smoking an actual tobacco cigarette. The message is clear: If you are a smoker, you have the choice to choose an even better life. On the other hand, if you have already switched to e-cigarettes from smoking – we encourage you to always choose what is good for you and your loved ones. We hope this comprehensive article helped you to have a much clearer understanding of electronic cigarettes and vaping. If you think more people can benefit from reading this article, please kindly share it so that even more people in your life can have a better understanding about electronic cigarettes and vaping too!